Being one of the world’s most famous sports arenas, Holmenkollen has chosen Nautronic’s well-reputated design in order to ensure spectators, participants and sponsors the best possible experience during competitions. 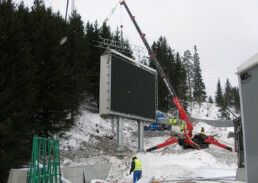 2 full color LED screens sizes 50 and 38 m2 and one mono screen size 25 m2 were installed. 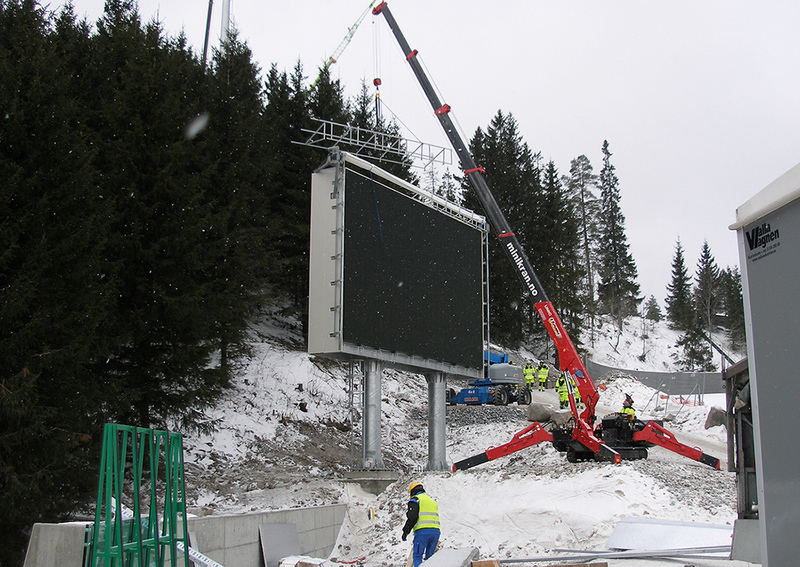 It was an outdoor project and the work took place in around 20 degrees minus. 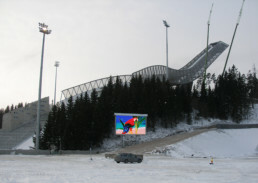 The project was delivered partly as part of a renovation and partly in connection with the building of a new ski jump arena.